This was the first album I bought. 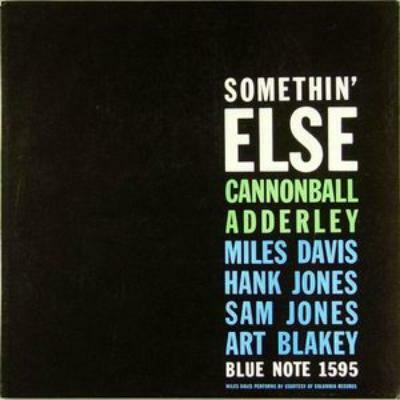 After being subjected to Miles Davis' Milestones non-stop for a couple of months, I thought I'd like some more, so I bought Cannonball Adderley, Somethin' Else. It was the new album that had just come out. I loved his playing from Milestones. I found him really inspiring. I think it's very sad that he died. He died fairly young really and he was like the latest contender for the Charlie Parker chair. I just loved all those tracks on that album, 'Love For Sale' and 'Autumn Leaves'. These selections are all stepping stones in my musical career really, in my musical inspiration. They're all albums that have influenced me to go ahead and I love them all.